A blockchain-friendly member of Congress faced confirmation hearings on Capitol Hill yesterday in his bid to join the Trump administration. 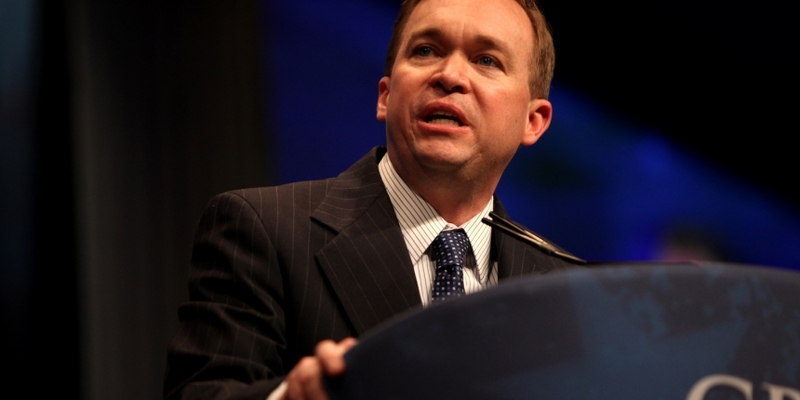 Representative Mick Mulvaney, a Republican from South Carolina, was nominated in December by then-President-elect Donald Trump to head up the Office of Management and Budget, which would make him the White House’s point person on budgetary matters. According to the Washington Post, Mulvaney ran into a hiccup or two during his hearings. The conservative US Representative drew fire from Democrats because of a failure to pay $15,000 in federal taxes related to a household employee. Describing it as “a mistake in my family”, Mulvaney said the amount has since been paid. Elsewhere, he defended his past positions on federal spending and entitlement programs, telling committee members that he would take a “fact-based approach” to his role as US budget chief. Mulvaney was one of two members of Congress to back the Congressional Blockchain Caucus, an effort aimed at boosting awareness for the tech among US legislators. Mulvaney has also been a prominent congressional face at industry events, including those held in Washington, DC.